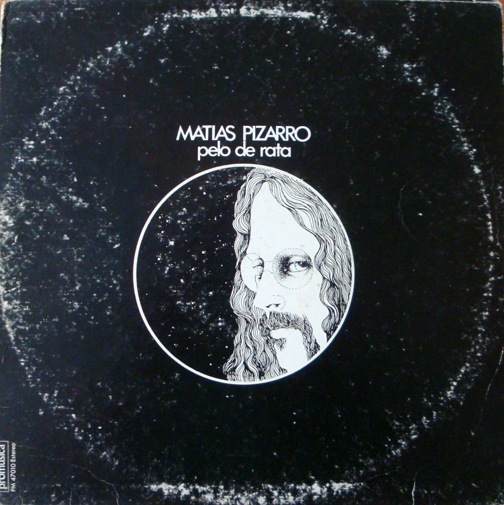 Matias Pizarro is one of those musicians unknown Chilean popular level, but with an impressive track record that I point out directions to many Chilean musicians in the late sixties and early seventies. Linked to jazz, he shared not only with the best musicians of the genre in its time, but it is one of the first to use the genre of fusion with a very progressive in Chile. His house was a workshop of experimentation through which they passed very many musicians as the brothers Lecaros, Sandro Salvati, David Estanovich, Peter Greene, Enrique Luna, Orlando Avendaño among many others. 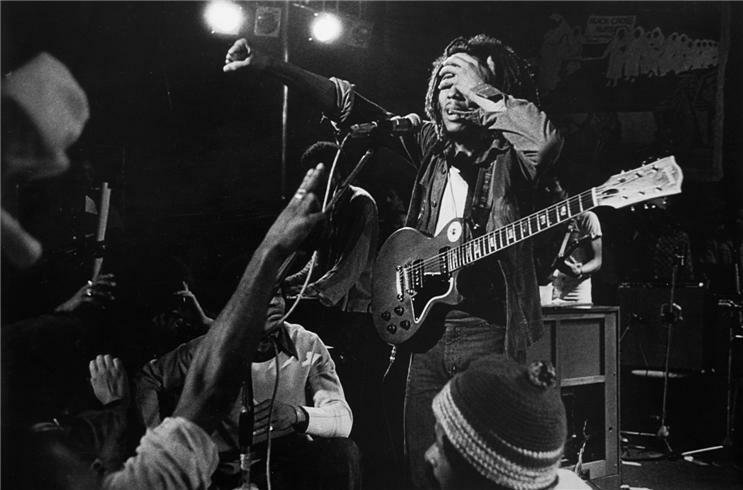 National product of this fusion group that recorded their 1972 self-titled album. Was also an interesting project for which records were not what his group Coast where he played with members of The Jaivas. After the coup went into exile to Argentina, where he settled and I understand that is maintained until today. Alla Sol de Chile formed a project with former Congregation plus Jaivas, Illapu and other Chileans in exile. 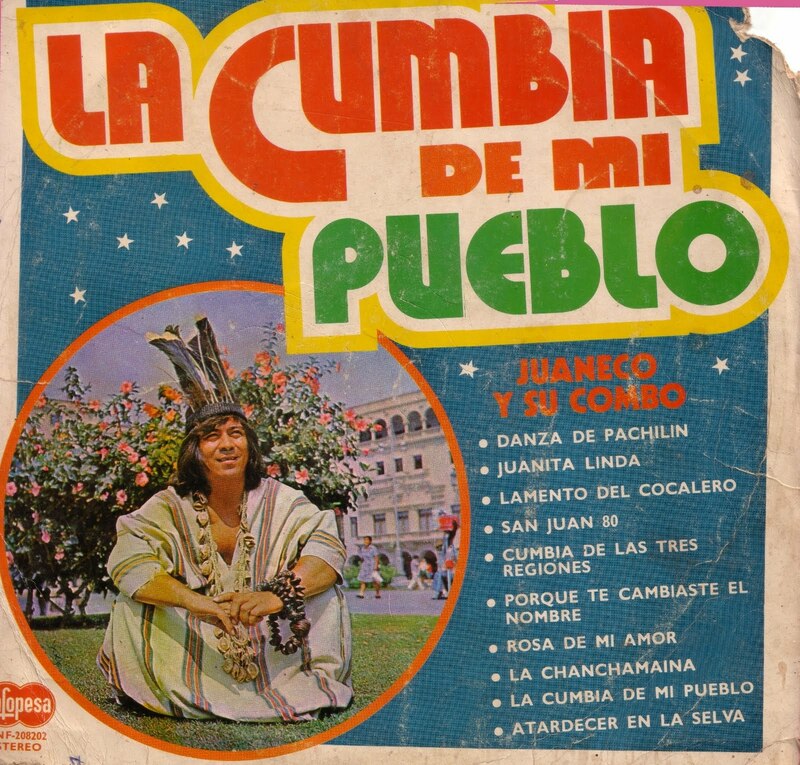 In 1975, this album recorded in Argentina, a jewel of Latin American art music, at times reminiscent of Miles Davis, in other typical sound of the bands Machitun seal. A safety pin that was published in rockyjazzchile and reuploaded here. Directed by the young composer and vibraphonist Guillermo Rifo, Aquila group became known in history as the first substantive draft in the encounter of jazz with popular music and music learned. As a legitimate and hybrid chamber ensemble, Aquila found his role in a variation of style and creative point of view not only survived long in the Chilean music but became one of the strongest branches in the past 30 years: merger. Since 1965, a 19-year Gillermo Rifo performing in the percussion section of the Symphony Orchestra of Chile. 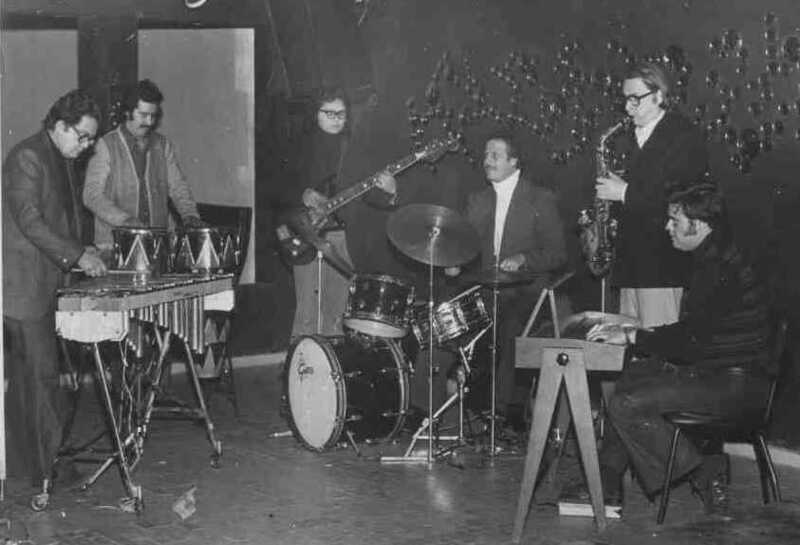 In 1969 he founded the Percussion Group of the Catholic University and in 1971 he was already experimenting with the vibraphone (melodic percussion instrument) in the jazz language, in concert with the brothers Roberto and Mario Lecaros Lecaros, following classical and vibraphonist Lionel Hampton, Red Norvo and Milt Jackson. His constant drive toward the rediscovery of popular music led him to meet with drummer Sergio Meli, who had played until 1969 with Lecaros in the Village jazz group Trio. 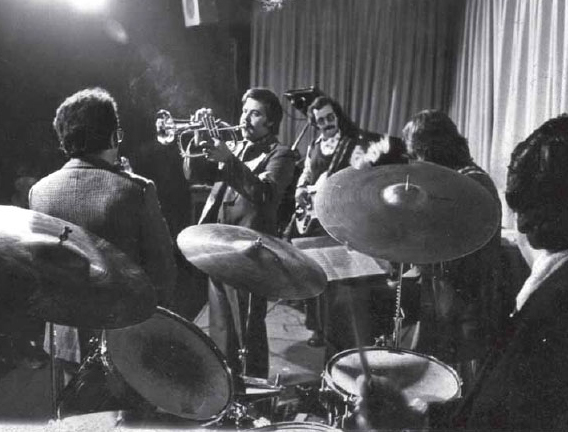 As the epicenter of musicians who frequented the house pianist to play Matias Pizarro and live jazz fusion group, the stronghold of Rifo and Meli to organize Aquila, was set in the disco Rosso Nero Apumaque at the mall, which opened spaces for jazz on Mondays of each week and whose owners were Meli himself and pop singer Paolo Salvatore. 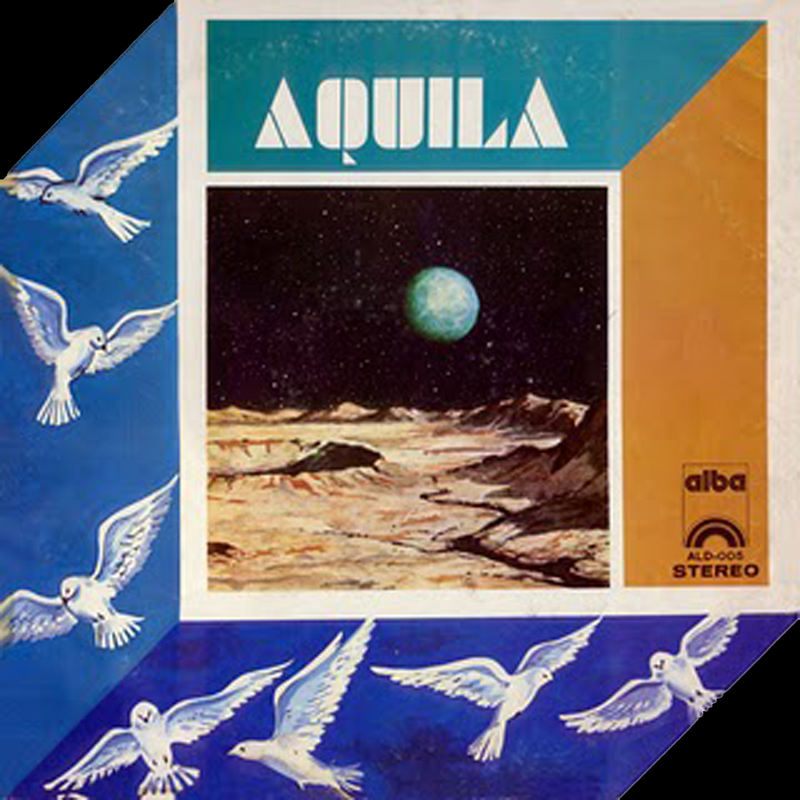 In 1973, Aquila completed as ordered as a quintet with a diversity of influences. 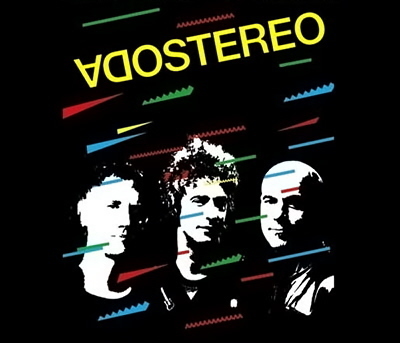 It was led by the vibraphone Rite, whose origin was in classical music, and background of Sergio Meli, drummer for the generation of modern jazz, and also had the addition of alto saxophonist Sandro Salvati (who had just gone through the prototype Fusion), electric pianist Guillermo Olivares, until 1972, member of rock band Embrace) and electric bassist Williams Miño (with experience in popular music). 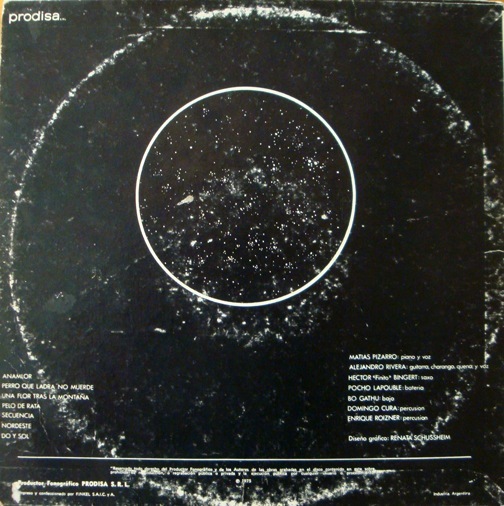 Aquila released their only album, Aquila (1974), through the label Alba, incorporating compositions related to the merger mostly belonging to Rite, as well as creations of other members of the quintet and pieces from the modern jazz of Pharaoh Sanders and Herbie Hancock. He closed his active life quickly after a few appearances on underground and cons of a city curfew. Although, as noted by Alvaro Menanteau Chilean musicologist in his book History of Jazz in Chile (2003), in that short time Aquila reached a foundational category in the line of instrumental music mixes. 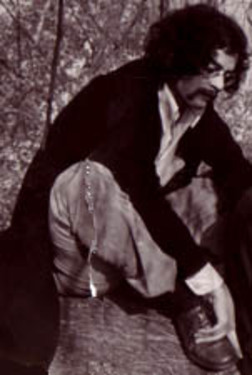 After the fall of the curtain, Guillermo Rite continued to develop its popular vein musically directing Hindetmith Sexteto 76 (1973), chamber ensemble learned that delved into the folk roots music, and then lead the group electro Latinomúsicaviva (1978), one of the most significant projects of the merger Latin American man.